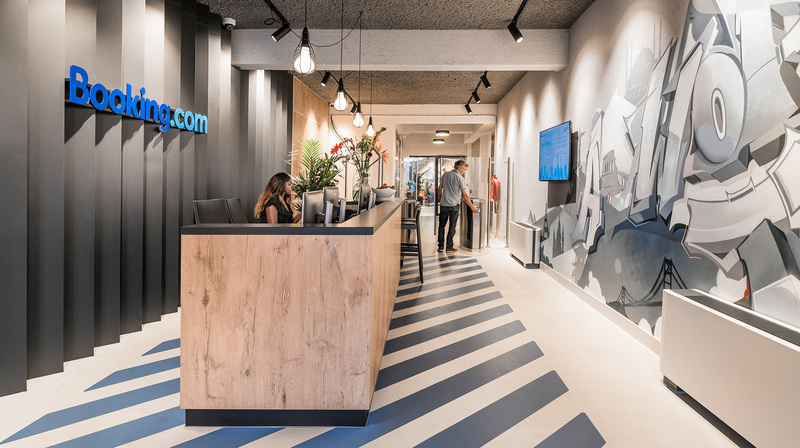 Booking.com Bloomhouse is situated next to the Amsterdam Flower Market and the vibrant nightlife district Reguliersdwarsstraat. 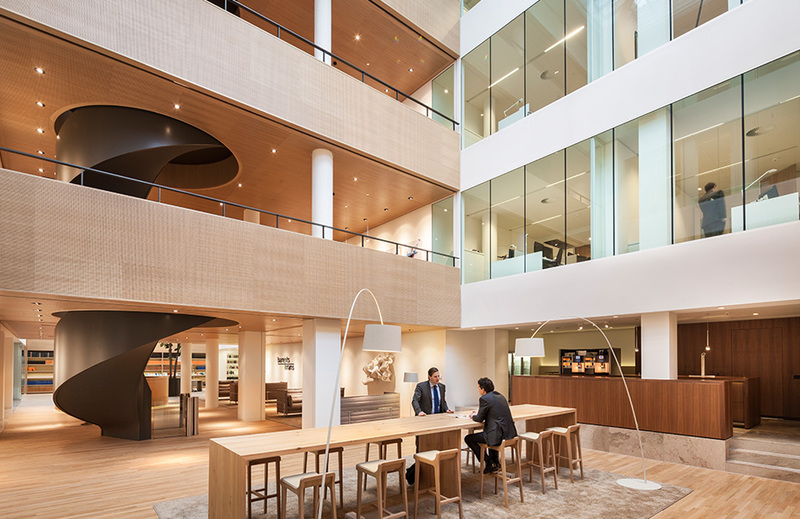 Here, the employees work right amidst their clients. 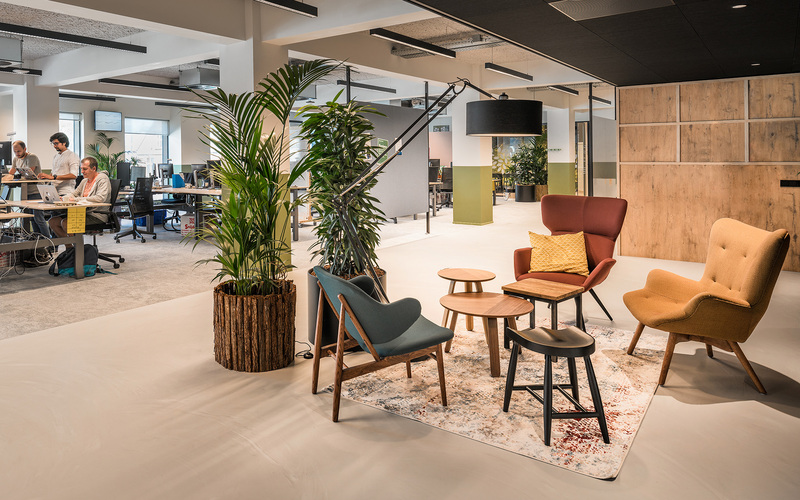 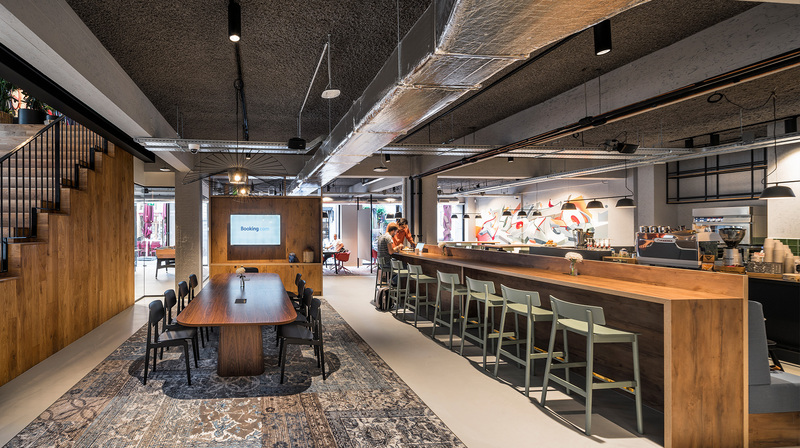 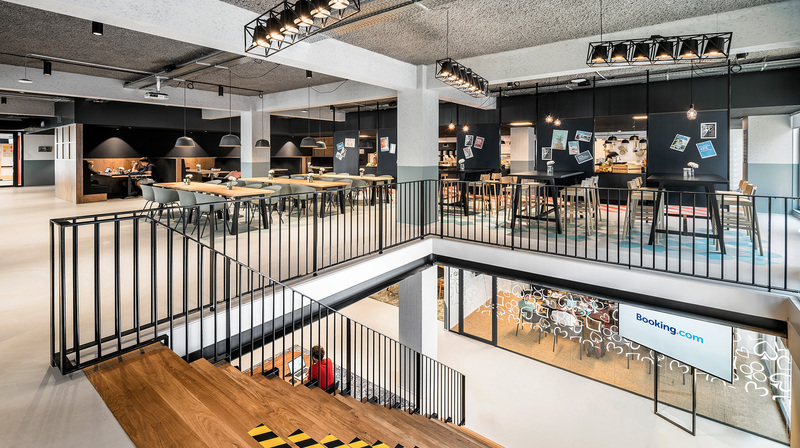 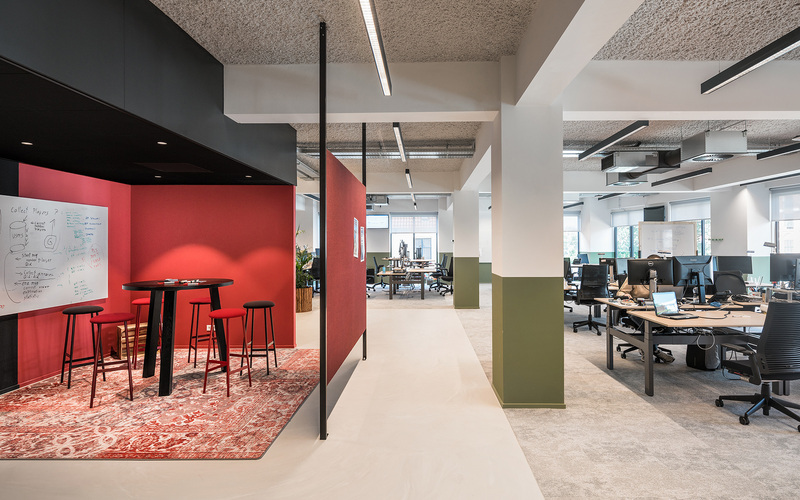 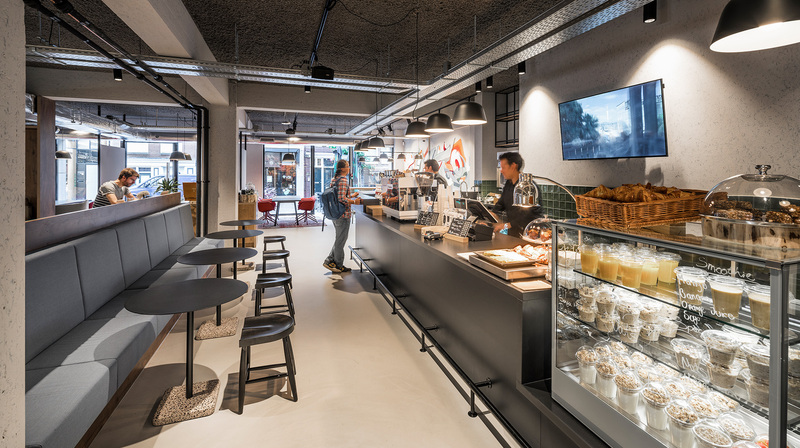 HofmanDujardin transformed the existing office building into a completely new working environment as lively as the streets around. 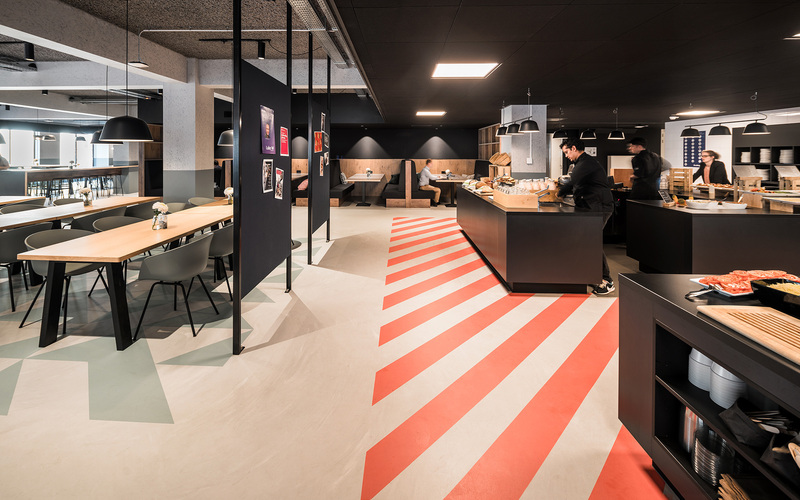 The design adds a journey and various experiences to the concrete structure, implementing existing graffiti art and adding new ones. 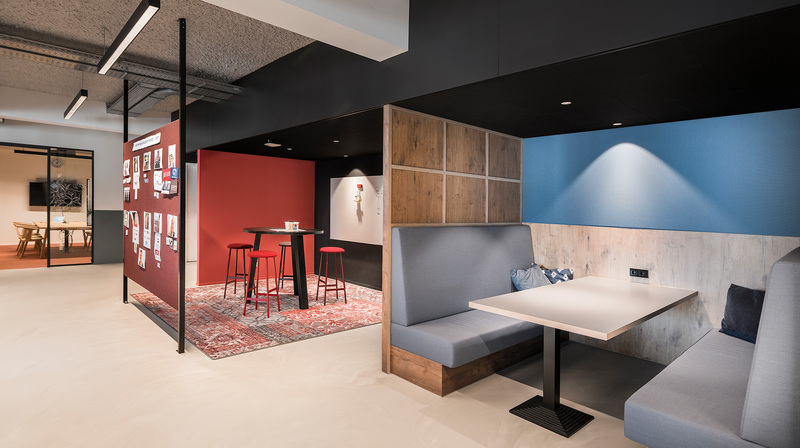 It finds a balance in stimulating collaboration and facilitating concentration. 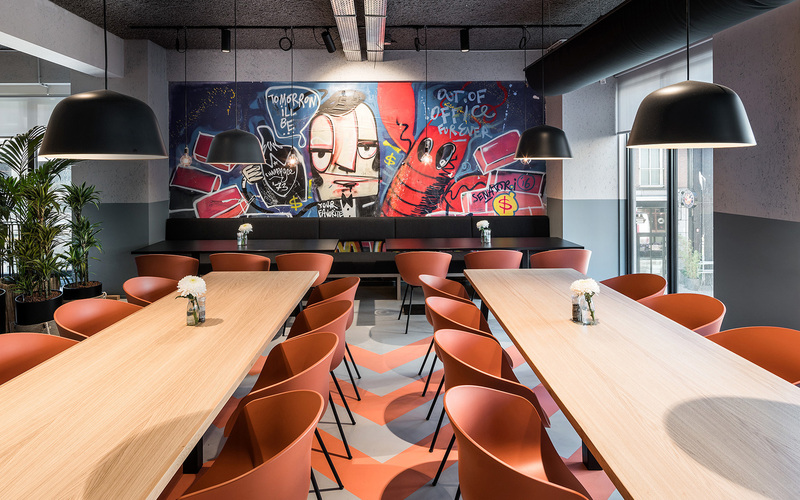 The street art graffiti in the restaurant on the first floor is made by Senatori and the graffiti in the entrance, the coffeebar and the offices is made by Vincent Huibers. 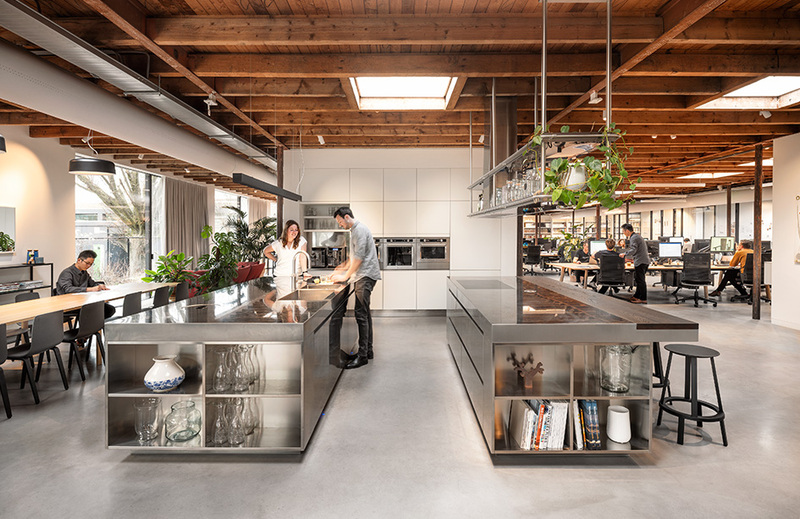 Before, the Bloomhouse was partially rented by the famous graffiti artist Selwyn Senatori. 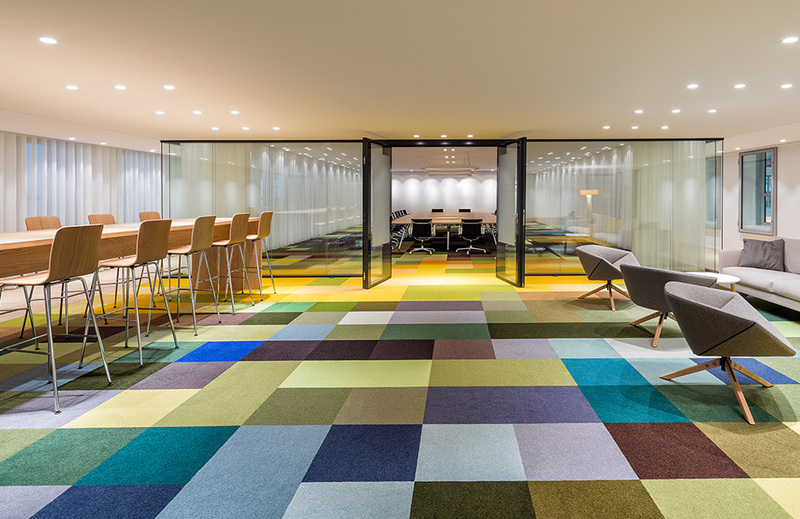 His traces inspired the architects of HofmanDujardin to create a colourful and rich interior. 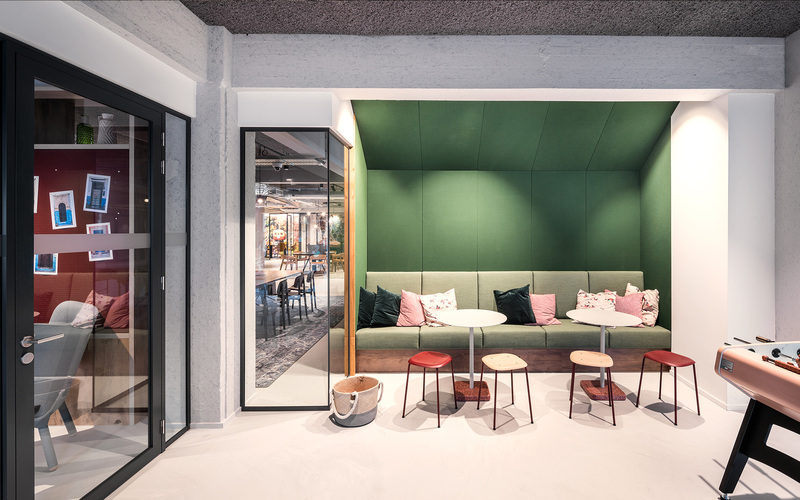 In between souvenir stores, the new entrance leads directly to the espresso bar on the ground floor which offers a diversity of places to sit, meet, game and relax. 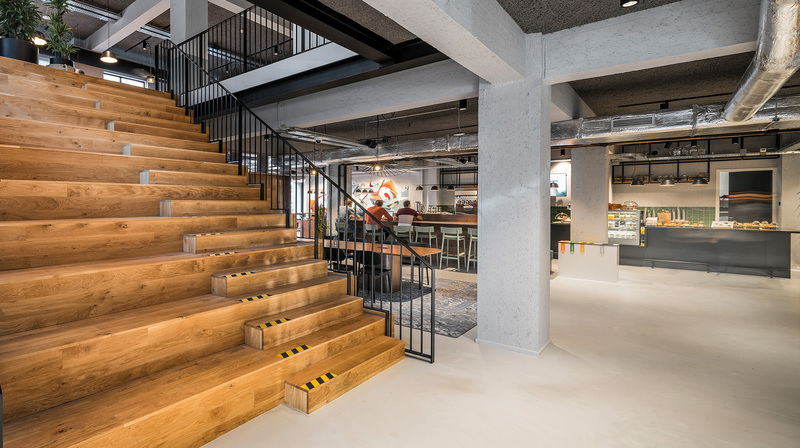 A new timber staircase connects the espresso bar to the restaurant, where patterns on the floor mark the various areas to have lunch. 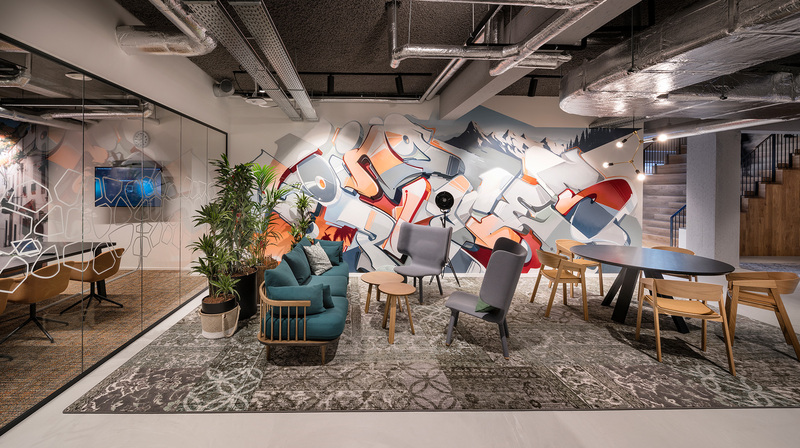 Parts of the scheme are designed around existing graffiti pieces, while new pieces have been created which match the colour palettes of the interior. 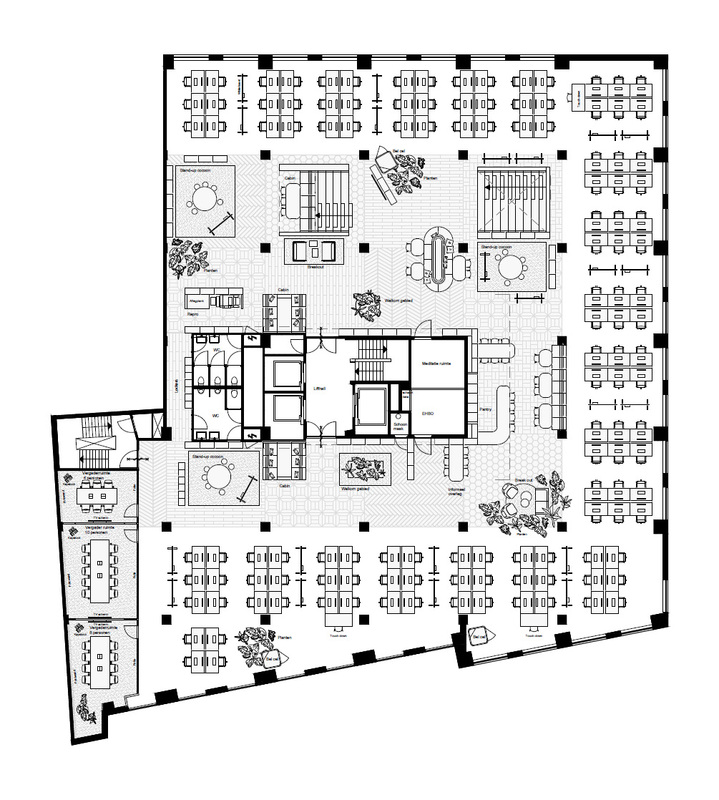 On the upper floors, all team tables are arranged along the facades to create a light zone stimulating concentration. 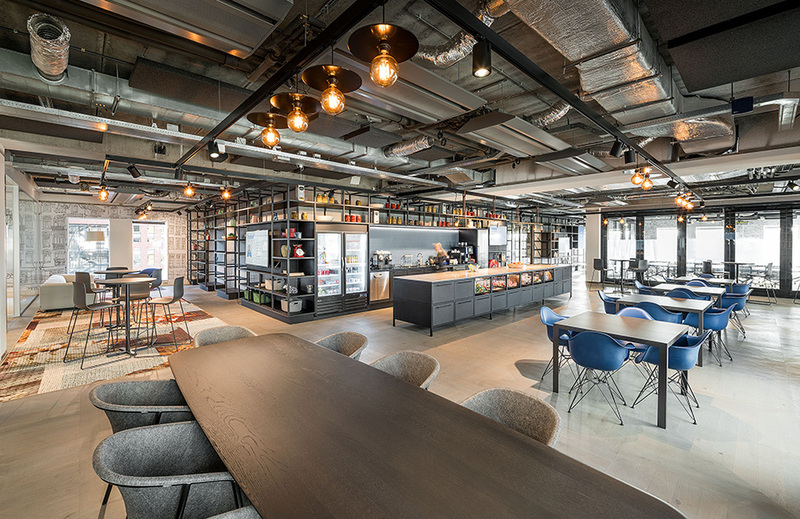 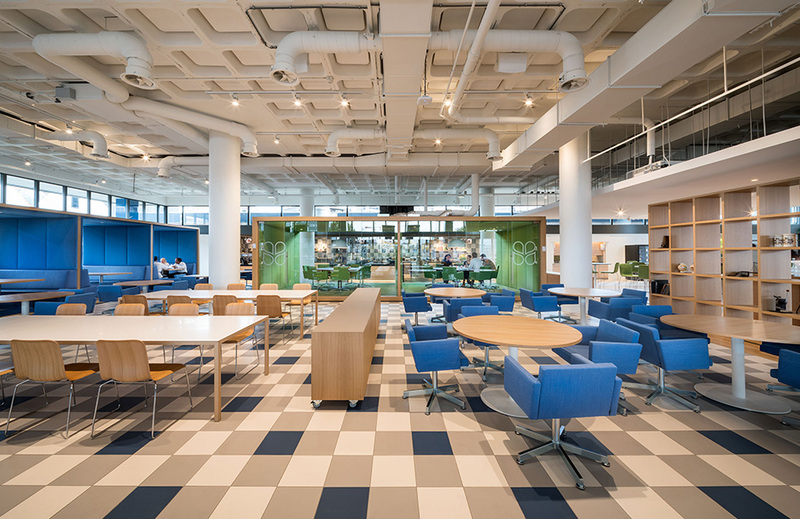 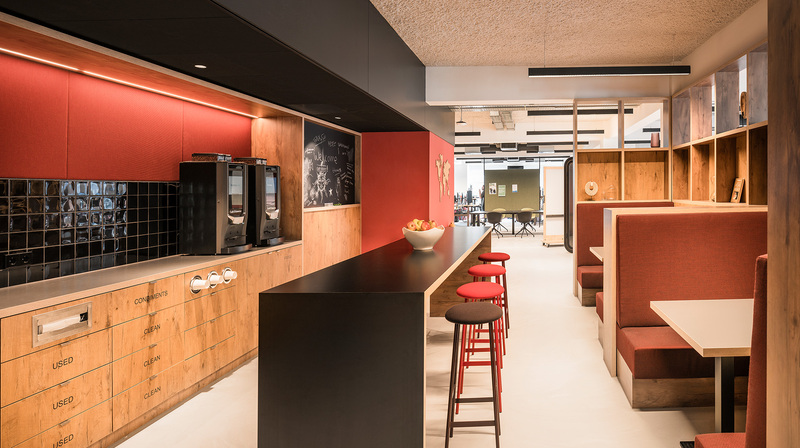 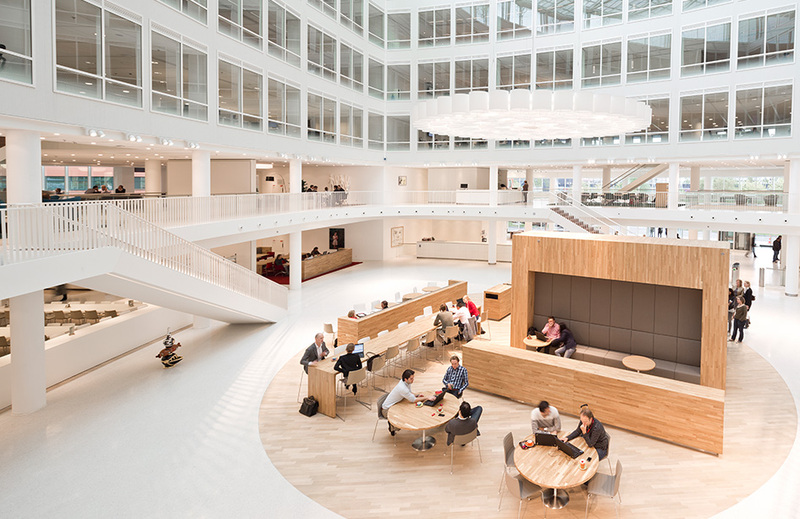 In the centre of each floor a diversity of homey seats, cocoons, coupés, coffee and snack points encourage collaboration and informal meetings. 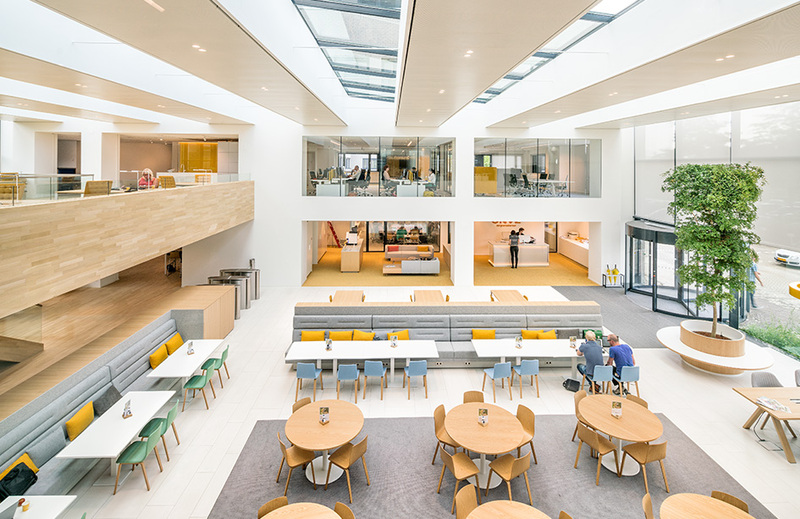 The different atmospheres form a background to the team zones and create a varied journey through the building. 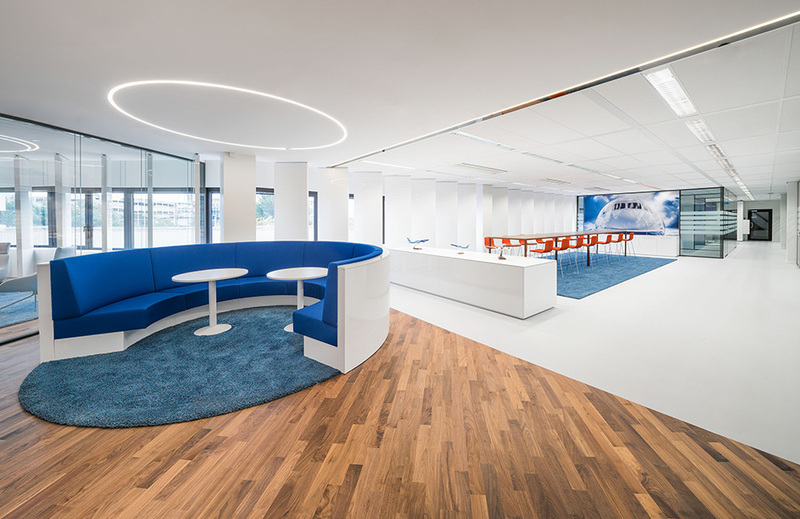 The formal meeting rooms add destinations to this journey. 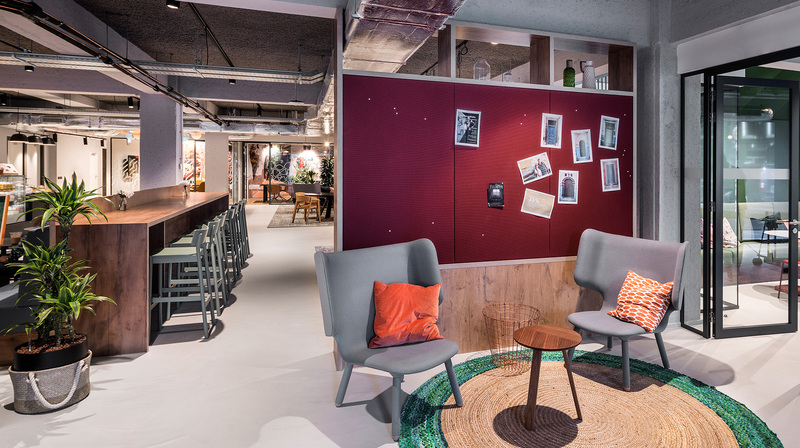 Big wallpaper prints of photographs from the ‘In the picture’ database of Booking.com’s employees create a series of specific theme rooms, adding to the richness of the colourful working environment.